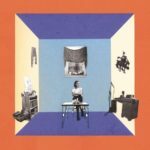 The Matinee October 25th edition is a bit mellower, featuring indie rock, indie folk, folk-rock, electro-pop, dream-pop, blues rock, and some funky weirdness. Just take a listen below and you’ll quickly understand what the last term means. 2016 has been the Year of Bryde. In just over a year, the singer-songwriter from Brixton has seen her star and popularity increase exponentially. It started off with her Daughter-like single “Wait” and then the Fiona Apple-esque “Help Yourself”. Her latest single channels two of indie rock’s great artists. “Wouldn’t That Make You Feel Good?” is gripping drama in the mold of PJ Harvey and Emma Ruth Rundle. The slight tinges of her electric guitar and her mournful vocals create the stark environment for this story of an abusive relationship. As the song intensifies, the drama builds as the assailant stands over her. Awesome. Someone call the producers of Orange Is The New Black and let them know Bryde has the perfect song for their next episode. Over the past 18 months, Clap Your Hands Say Yeah‘s mastermind, Alec Ounsworth, has been performing in living rooms across North America. These intimate experiences have resulted in Ounsworth transforming himself in front of hundreds of people’s eyes. For now, he has set aside the spectacular and cinematic indie pop of his previous efforts, including 2014’s Only Run, and opted for a combination of indie folk and folk-rock. Yesterday, he unexpectedly released a new single, “Loose Ends”. The song is one of the most beautiful and intimate songs that Ounsworth has released in his decade-plus as a musician. It has the warmth of Kristian Matsson’s (The Tallest Man On Earth) yet weaves the fable-writing of early career Neil Young. “Loose Ends” will leave you breathless and leave a smile on your face. Close your eyes and imagine you are Ounsworth’s protagonist, who is running away from past mistakes while chasing after a memory. In a day and age where electronic and digital equipment have overtaken classic rock ‘n roll instruments, it is refreshing to hear a new artist creating songs that channel music’s great eras. New Jersey native Dan Waszay is doing just that, creating psychedelic music that bridges the ’60s and ’70s with contemporary psych-rock. His new single, “Play Dead”, exemplifies his classic sound. The song merges the influences of three awesome bands. The reverb-filled psychedelia recalls The Doors and The Brian Jonestown Massacre while the vocal delivery is akin to Ripley Johnson of Wooden Shjips. Taken together, you have the perfect bar-room song. So grab a cold one, get your buddies together, and rock out to this awesome number. Bay-area Garlands are a super-group of sorts. Formed in 2014, the band is comprised of Lisa Light of The Lovemakers (Interscope), El Elle, and Mikael Johnston of Mephisto Odyssey (Warner Bros.) and Dresden & Johnston. Last month, they released their self-titled, debut album, which showcased their “newgaze” / dream-pop song. From the LP is the dazzling “The Ratio”. The song belongs on a soundtrack somewhere, anywhere. Whether it is for a blockbuster movie, a coming-of-age film, or a future episode of your favorite television show, “The Ratio” has everything you want. The clean, crystalline guitar lines are stirring. The harmonies have the lush and captivating qualities you would hear from the great ’80s songs, and they are accentuated by the great keys and rhythm section. The track is, well, the perfect ratio of all the things you expect to hear in a great song. 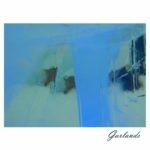 Garland’s self-titled, debut album can be heard in its entirety on SoundCloud. While Meg Duffy has been cutting her teeth performing in various along the west coast, including Pacific Northwest collective Mega Bog, she has flown under the radar as an artist. This will quickly change, as Duffy recently signed with the great, folk-rock label Woodsist Records. Her debut album will arrive on February 10th, 2017, and from it is “All The While”. I don’t hear your name. Sweden continues to churn the great singer-songwriters. The latest one to keep an eye on is HELGA. 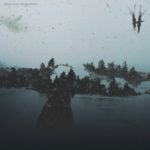 While there is not much known about the native of Dalarna, Sweden, her style is reminiscent of some of the great Scandinavian musicians who brought a haunting, primal feel to their music, such as Jenny Hval, Susanna, and Susanne Sundfør. HELGA just released her debut EP, My Revelation. The EP’s heart and soul is the moving track, “Life Has Just Begun”. Like what Hval and Lykke Li have been able to craft, HELGA has masterfully juxtaposed her life with that of her surroundings. This is a song about leaving something familiar, yet yearning to keep the past. It is about moving forward while recognizing that sacrifices must be made. It’s a startling track by a young woman who at this moment remains a mystery. It won’t be long, however, when she will become our revelation. My Revelation can be heard in its entirety on SoundCloud. In the “why-haven’t-we-discovered-them-earlier” category is JAGARA, the sister trio from North London. Unlike many sibling bands who have attempted to create fiery rock ‘n roll or catchy pop music in order to achieve immediate stardom, JAGARA channel the early ’80s and the new wave and darkwave scenes of the era. Their latest single, “Let Me Go”, is a perfect example of their retro-inspired sound. Breathtaking, hypnotic, and awe-inspiring, “Let Me Go” is absolutely brilliant. The synths and 808 drum beats are terrific, adding suspense to this track about breaking away from the past and someone who occupies that time. Frontwoman (or front sister?) J’s vocals are spectacular, as they fall somewhere between Pat Benetar, Debbie Harry, and Chrissie Hynde. Her voice is one that you will not easily forget and quite possibly one that will haunt your mind for days to come. With Halloween in less than a week, that’s not such a bad thing. 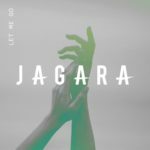 In addition to J (lead vocals/electric guitar), JAGARA are R (vocals/electric guitar/keys/beats), and C (vocals/keys/beats). If you are curious, JAGARA is a female warrior character from the anime world. With songs like “Let Me Go”, it won’t be long before everyone will be taking notice of these three young women. 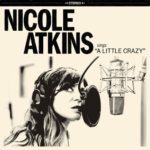 We are unabashed fans of Nicole Atkins, the singer-songwriter from New Jersey. Like thousands of people around the globe, we have become enamored with her retro-inspired music. Songs that recalled simpler times and the days are grandparents would share a milkshake at the local drive-in. Her newest single, though, goes beyond the ’50s and ’70s-esque dark-disco of her last album, 2013’s Slow Phaser, and infuses the soulful folk of the late ’60s and ’70s. “A Little Crazy” is Roy Orbison-esque. The melody and arrangements touch of the legendary artist’s “Crying” with an added cinematic element. As the song progresses and Atkins’ voice intensifies, you are immediately swept off your feet. The storytelling is off the charts, as we walk alongside a lonely soul who has lost everything. The song is incredibly gorgeous, one that will not just break your heart but crush it and you’ll enjoy every single second. “A Little Crazy” was co-written with Chris Isaak. It is also the lead single from Atkins’ forthcoming, fourth album, Goodnight Rhonda Lee. 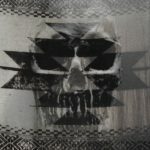 The LP is expected some time in early 2017, and the album can be pre-ordered early through Atkins’ PledgeMusic campaign to finance its release. Anyone who has followed Connan Mockasin‘s career knows he’s one of the funniest and creative geniuses in music today. Some would even say his music and live performances are outlandish. Regardless of the adjective people choose, everyone would agree there is no one like the New Zealander on the planet. So when the native of Te Awanga announced he was collaborating with good friend Sam Dust under the project Soft Hair, questions abounded on how bizarre and off-the-charts would Mockasin would go. Well, he has actually gone the other way, taking some familiar approaches and completely putting them on their head. 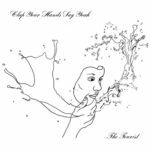 Soft Hair’s newest single, “Relaxed Lizard”, is wacky, bizarre yet accessible goodness – if that is even possible. The song is groovy with Mockasin’s trademark falsetto offering an unusual balance. The lyrics, as one would expected, are quite humorous. Another way to think of “Relaxed Lizard” – a funky, weird number that sounds like Unknown Mortal Orchestra on helium. Soft Hair’s self-titled, debut album arrives just in time for Halloween. Specifically, it will be released on Friday, October 28th via Weird World. 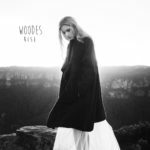 For over a year, Townsville, Australia native Woodes has become one of the country’s most talked about artists. From all corners of the planet, people, including ourselves, have gravitated to her intimate and engaging electro-pop. She has been compared to artists like BANKS and Grimes, but a more fitting comparison may be Lorde. Akin to the New Zealand heavyweight, what sets Woodes apart from similar artists is her storytelling. He’s not solely writing songs about her own personal experiences or tackling overdone and well-wron subjects. Instead, she is writing stories about people and places. 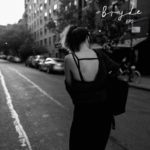 Her latest single, “Rise”, is a love letter to New York City, which she recently visited for the first time. The protagonist could be Woodes, another woman who has similarly been captivated by New York’s energy, or the City itself. The mystical element in the songwriting is what makes Woodes an artist to watch now and beyond. Without question, she will be one of our artists to watch in 2017. In Melbourne, she already is a pretty big deal, as evidenced by the “choir” who sang backup. The choir included Alex Lahey, LANKS, Lupa J, Nirrimi, Abraham Tilbury, Edward Vanzet, Golden Vessel, Tommy Wilson, Juice Webster, Uncle Bobby, Jaysways, and Batts.